Skin cancer is unfortunately very common in dogs. Skin tumors occur about six times more in dogs than they do in cats, and up to 34 times more than in people. Although some types of skin cancer occur in young dogs, most often, canine skin cancer occurs in middle-aged and older dogs. Not all dog skin tumors are malignant - only about 20-30% of them are. Benign tumors are usually slow growing. Very often, they do not change too much over time. Generally speaking, benign skin tumors are well-formed and have well-defined shapes and margins. They can move freely beneath the skin, and usually the dog does not feel any pain. Malignant tumors normally grow very fast. They have ill-defined margins and shapes (e.g. can be "knobby"), and can bleed and ulcerate easily. Lipomas are fatty tumors and are the most common soft skin tumor in dogs. They are soft and easy to confirm by fine needle aspiration. Usually they do not need to be removed unless they interfere with the mobility or comfort of the dog. Papillomas are commonly known as warts. They are firm and smaller than lipomas. In puppies (but not in older dogs), they are mostly caused by viruses and usually disappear in a few months when the puppy's immune system matures. In older dogs, papillomas can be easily confirmed by fine needle aspiration. For small, mushroom- or finger-like warts, they are nothing to worry about. If they grow in size or ulcerate, however, they should be removed and biopsied. Melanomas are common skin tumors in dogs. Depending on the location, these skin tumors can be benign or malignant. When found on the skin, they are generally benign. In fact, about 85% of melanomas that occur on the skin are benign. Other common benign dog skin tumors are the wax gland cyst (adenoma), basal cell tumor, and hair follicle tumor. Once in a while, however, these benign skin tumors can become cancerous. Therefore, as a rule of thumb, all skin tumors should have a fine needle aspirate for proper diagnosis. Squamous cell carcinoma is the most common form of skin cancer in dogs. Carcinoma refers to a cancer that initially starts in the cells and surrounds an organ completely. Squamous cell carcinomas commonly occur in light-colored skin not covered with hair (e.g. the dog's belly), and they arise most commonly due to sun damage. Skin lesions of this type of cancer are usually raw, ulcerated, and hard to heal. This dog skin cancer is locally aggressive but rarely spreads until later in the course of the disease. Certain breeds (e.g. the basset hound and blood hound, shih tzu, mastiff) are particularly susceptible to this type of canine skin cancer. Squamous cell carcinomas are typically treated by surgery and, where surgery is incomplete or not possible, radiation can be used. 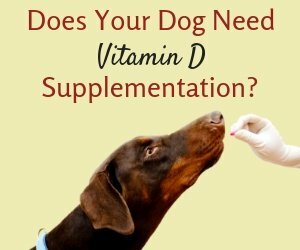 One way to prevent your dog from getting this type of cancer is to limit sun exposure time. Another common form of skin cancer in dogs is mast cell tumors, which arise from tissue mast cells and are very malignant. In fact, these dog skin tumors are the most common fatal skin cancer in dogs. Mast cell tumors are sometimes known as "the great imitators" because their appearance mimics lipomas (fatty tumors) and other benign skin lesions. It is worth repeating, therefore, that all skin tumors should have a fine needle aspiration for proper diagnosis. Please visit this page for more information on this type of skin cancer. Hemangiosarcoma is a common soft tissue tumor of the support tissues that surround the blood vessels. There are several forms of hemangiosarcoma, the most common form arises from the liver or spleen. However, although not as common, hemangiosarcoma may also arise in the skin. The skin forms of hemangiosarcoma are classified as either dermal (on the skin) or subcutaneous (beneath the skin). 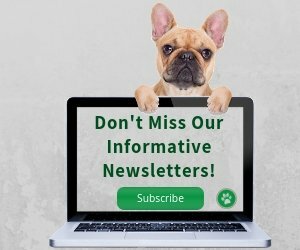 Please visit our page on canine hemangiosarcoma for more information. Fibrosarcoma is another type of soft tissue tumor that arises from the fibrous connective tissues of the skull, spine, pelvis and ribs. Fibrosarcomas are often subcutaneous but can grow and extend like long "tentacles" that wrap around tissues, making complete surgical removal difficult. These tumors are locally aggressive but less likely to metastasize to other parts of the body. This skin cancer occurs more commonly in older male dogs. Treatment options include aggressive surgical removal, and/or combined with radiation. Skin cancer most likely manifests itself in the form of a lump on the skin. Of course not all skin lumps are cancerous, but if you find one on your dog, you need to keep a close watch on that lump. 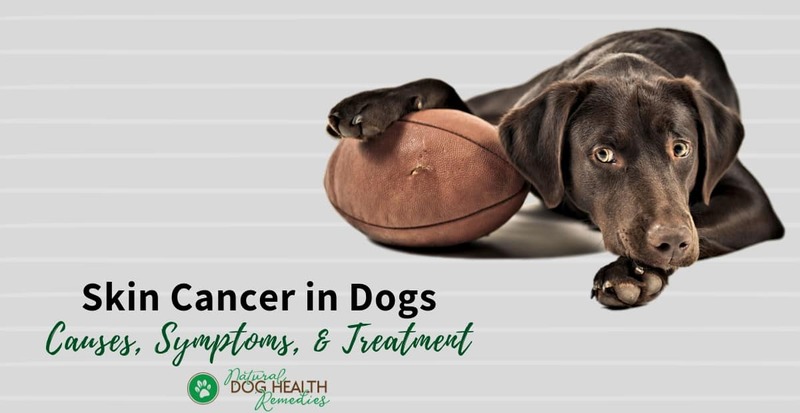 If the lump grows rapidly, becomes ulcerated, or constantly causes your dog to lick, scratch and chew on it, get your dog to the vet quickly for a diagnosis. In addition to local symptoms (e.g. skin lumps, ulceration, pain, itchiness, etc. ), skin cancer, as it progresses, causes whole-body symptoms as well. Usually these symptoms are less distinct and vary depending on how serious the cancer is, whether it has metastasized, and if so, which parts of the body it has spread to. A loss in appetite and weight. Lymph nodes that are enlarged. Skin lesions and wounds that don't seem to be able to heal. Since skin cancer has a much higher chance of being cured if treated early, it is important that we, as dog parents, be vigilant. We should examine our dogs on a regular basis. A simple way to check for skin tumors is to first give a massage to your dog to make her relax. Then, slowing separate her hair with your fingers and check the entire body - including the base of the tail. a particular skin patch that your dog is "obsessed with", i.e. he is always scratching, licking, chewing, or biting at that spot. The exact cause of most canine skin cancers is unknown. For squamous cell carcinoma and hemangioma, over-exposure to the sun has been found to be one possible cause. Fine needle aspiration is usually used to diagnose the presence of cancerous cells in a skin growth. When cancerous skin tumors are diagnosed, a tissue biopsy will be carried out and the tissue examined under a microscope. Other tests include complete blood count, urinalysis and chest x-rays (to determine if the cancer has spread to the lungs). Treatment options depends upon the location of the tumor, the extent and the stage to which the cancer has developed. Typical conventional treatment options include surgical removal of the tumor, chemotherapy, and/or radiation. Malignant melanoma can now be treated using a vaccine called the Canine Melanoma Vaccine DNA. The vaccine works by injecting a protein into the body, alerting the immune system to the presence of the melanoma tumor protein. 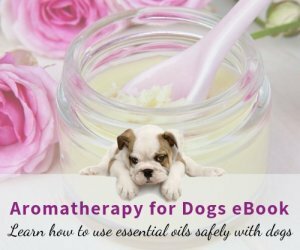 If your canine oncologist does not embrace complementary treatment options, try to find a holistic vet who does. Remember, conventional and complementary treatment options can very often go hand-in-hand. 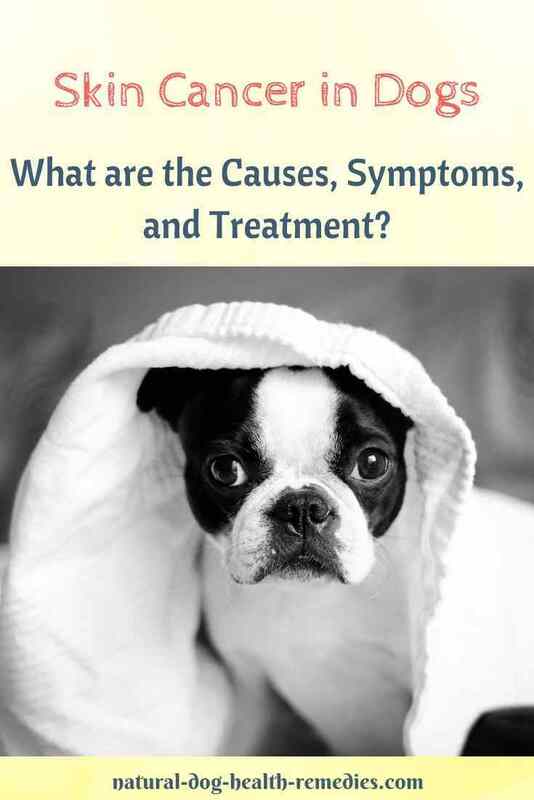 Visit our pages on Herbs for Canine Cancer and Dog Cancer Diet for additional information.